The Apple store’s arrival in Grand Central Station was greeted with much ballyhoo, its unveiling like something out of a science fiction novel — appearing out of nowhere to stun the masses. Well, according to State Comptroller Tom DiNapoli, there was something extraordinary about the Apple store’s arrival in Grand Central. He says Apple had an unfair advantage in the bidding process for the space thanks to help from the Metropolitan Transportation Authority. According an audit by DiNapoli, the MTA worked with Apple for a year before issuing an RFP for the bidding on the space. DiNapoli is recommending changes to the Public Authorities Law to allow for a more transparent bidding process. The current law only calls for certain contracts to be reviewed by the state Comptroller’s office. DiNapoli’s proposed change would make all contracts over one million dollars eligible for review. DiNapoli’s office was not allow to review the process that led to the Apple lease before it was finalized because it was allegedly a competitive process. MTA chairman Jay Lhota is a Cuomo ally and DiNapoli has a contentious relationship with the governor. Cuomo never endorsed DiNapoli in 2010 and DiNapoli has been working with another one of Cuomo’s rumored political rivals Attorney General Eric Schneiderman. “In the past selection of gaming operators, race track issues, VLT designations have raised serious ethical and legal issues for the state. To be sure, the state’s current gaming arrangements are varied and controversial. I look forward to the opportunity to bring a logic and strategy to gaming operations in the state over the next two years through development of casino legislation and regulations. The Mayor Michael Bloomberg unveiled a city-backed business incubator in the Bronx earlier today. The Sunshine Bronx Business Incubator at 890 Garrison Ave. in Hunts Point is set up to house 400 entrepreneurs. The New York City Economic Development Corporation helped started the incubator with a $250,000 grant. The incubator is the 8th to open as part of the city’s network of incubators. Last week, Crain’s reported that landlords, taking action in response to Occupy Wall Street’s weeks-long occupancy of Zuccotti Park, want the city to revamp its laws covering the city’s privately owned public parks to set hours of operation and prohibit large gatherings. Crain’s has a survey asking readers whether they think “private parks” should be allowed to set their own hours. As of today, the 201 people who bothered to respond said yes by a margin of almost two to one. The business paper, however, did not note that these spaces are actually public places that developers were required to create — and keep open — in return for the right to build taller buildings under city zoning laws. Having already received the financial benefits of the added floor space, the landlords now are seeking to restrict some of the public benefit. The results still hold today, Kayden wrote in a recent New York Times piece. Kayden said he welcomes the attention the protesters have called to the city’s privately owned public spaces, but calls for a much broader discussion on how they can contribute meaningfully to city life. “They need a champion, an independent steward or curator who actively promotes their use, not only by assuring that spaces are provided as legally promised but also by encouraging improvements, activities and public educational opportunities,” Kayden said. Opponents of the massive Atlantic Yards project in downtown Brooklyn have filed suit after suit to try to block the arena and residential complex -– largely without much success. Meanwhile Bruce Ratner has moved ahead on his project, reaping government help, razing buildings and building much of a basketball arena for the still New Jersey Nets. Council Speaker Christine Quinn refused to take a position on legislation to require a living wage this afternoon, but instead said she would review a recently released study and forthcoming testimony on the matter. The Economic Development Corp. released a study Monday which found requiring a living wage mandate at city subsidized developments would result in job losses. Legislation to require such wage mandates has been pending at the council for more than a year. The bill will get its first hearing tomorrow, and both opponents and supporters are scheduled to make a strong showing. Quinn said today she would not attend the hearing. Quinn would not say whether the bill would eventually get to the floor. Already 30 council members have signed on to the legislation. The lead sponsors of the bill, council members Oliver Koppell and Annabal Palma, could file a motion to discharge — which would send the bill to the floor if it had enough support outside of the speaker’s office. The move has only occurred once during Quinn’s tenure. A small spat erupted at this morning’s Industrial Development Agency board meeting, when Bronx borough president appointee Albert Rodriguez questioned the legitimacy and release of the city’s living wage study. Rodriguez chastised the Economic Development Corp., which is the parent agency to the Industrial Development Agency, for hastily releasing the study’s executive summary to the press before giving a copy to the board on Monday. He also seriously questioned the report’s findings, which suggest a living wage mandate for city subsidized developments would result in job losses. Legislation to require similar wage standards is currently ruminating at the City Council. The IDA board authorized the agency to spend $1 million on the study, which was conducted by Boston-based consulting firm, Charles River Associates. The study’s executive summary was released yesterday afternoon in anticipation of a City Council hearing scheduled for Thursday, said EDC President Seth Pinsky. The City Council had asked the agency to accelerate the study’s release so it could discuss the findings at the hearing. The full report will be released in the “coming weeks,” Pinsky said. In defense of the study, Pinsky said it was “disappointing” officials would allege the agency was playing politics. Pinsky said there are other ways to create better “living standards,” including expanding the benefits of the earned income tax credit. Any change in that tax credit would need federal, state and city approval. Pinsky also said the agency is conducting an internal study on how it can expand jobs in various middle income sectors, like construction or health care. The study found living wage policies would increase the standard wage at city subsidized developments, but could result in substantial job losses — anywhere from 33,000 to 100,000. Immediately after the executive summary was released, a Bloomberg spokesperson reiterated the administration’s opposition to the bill. Rodriguez too is not without political motives. His boss, Bronx Borough President Ruben Diaz Jr., proposed the living wage legislation after the City Council rejected a proposal to develop the Kingsbridge Armory in the borough. The proposal was defeated because the developer would not promise to force tenants to pay a living wage. After much anticipation, the city Economic Development Corp. released a $1 million study on living wage policy today, which finds implementing higher pay standards at city subsidized developments would cost jobs. The study examines legislation at the City Council to require any entity who recieves more than $100,000 in financial assistance from the city to pay a living wage. Thirty council members have signed on in support of the measure. Council Speaker Christine Quinn has not revealed her position. Although the speaker has Ok’d a hearing on the bill, which is scheduled for Thursday. The adminsitration called for the study, which was conducted by Boston-based consulting firm Charles River Associates, last year after the City Council defeated a controversial development at the Kingsbridge Armory. The developer refused to guarantee tenants of the proposal would pay a living wage. The study found certain development projects would no longer be “financially feasible” if the city adopted a living wage mandate. As a result, it argues, the city would lose jobs. Asked what he thinks the study means for the living wage legislation currently under consideration at the City Council, Paul Sonn, legal co-director of the National Employment Law Project, still seemed optimistic. We have had a number of requests for a breakdown of yesterday’s vote on the Ed Koch Queensboro Bridge. Today we cover the Bloomberg administration’s renewed interest in developing waste-to-energy facilities — or plants that burn or heat garbage to create energy. The administration’s interests are even more timely since Gov. Andrew Cuomo, experts and advocates have called for the closure of Indian Point. Indian Point provides up to 30 percent of New York City’s electricity. Steven Cohen, the executive director of Columbia University’s Earth Institute, estimates waste-to-energy could provide about 10 percent of the city’s needed megawatt hours. Cohen supports the development of small-scale plants throughout the city. For more on the debate, go here. Despite fierce opposition from the city’s unions and a majority of the City Council, New Yorkers favor bringing the world’s largest retailer to the five boroughs. According to a new poll from Quinnipiac University, 57 percent of New York City voters say officials should allow Wal-Mart to open up in the the city, while 36 percent say the retailer should be kept out. If Wal-Mart set up shop in the Big Apple, 68 percent of New York City voters would shop there if it was convenient. The results affirm what we have been hearing for months: New Yorkers want Walmart. Whether it’s physically leaving the city to shop our stores, responding favorably in polls or just voicing their opinion on Facebook and at neighborhood rallies, city residents show their support for Walmart every day. With too many communities living with double-digit unemployment and limited access to affordable groceries, we continue to evaluate local opportunities that will allow us to do what we do best: open stores, create jobs, stimulate economic development and lower the cost of living for customers. For months — years actually — city officials have been blocking Wal-Mart’s attempt to infiltrate the New York City market. They claim the retailer’s wages are below average, they have a poor record of providing health care and discriminate against certain employees, specifically women. 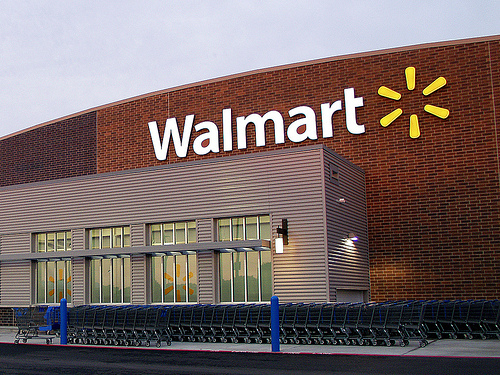 Officials have also said Wal-Mart would drive out New York City’s mom and pop shops. On the other hand, the five boroughs already is home to Target, Costco, Best Buy and other big-box retailers. We looked into whether there were stark differences between them. Just hours after officials called for stricter safety regulations for discount buses departing from Chinatown yesterday, another fatal accident took the lives of two more passengers. A Super Luxury Tours bus headed for Philadelphia slammed into a guardrail on the New Jersey Turnpike, killing the driver and another passenger. The crash came just three days after a brutal accident in the Bronx, which killed 15 people. Schumer wants to see the National Transportation Safety Board investigate the entire industry. According to the release, Assembly Speaker Sheldon Silver introduced legislation last month that would require these discount bus companies, many of which operate from the curbside in Chinatown, to get permits from the city. They are now regulated exclusively by the Federal Motor Carrier Safety Administration. His bill would also designate where they can drop off and pick up passengers. According to a study from the Department of City Planning, these companies conduct 2,000 trips from Chinatown every week. We covered the issue last year. For an in-depth look at the controversy, go here. If today’s hearing is any indication, Walmart will have a next to impossible chance of getting a New York City store approved by the City Council. Several dozen council members and a standing room only crowd gathered in Lower Manhattan this afternoon to debate how a Walmart store would affect small businesses and communities in the Big Apple. Last month, Walmart kicked off a vigorous marketing campaign to court New Yorkers and convince them to support a New York City store. Officials from Walmart refused to attend today’s council hearing, arguing they were being unfairly targeted. For more than four hours, council members tore into Walmart’s policies, including its labor practices, which have been the subject of several lawsuits. They heard from experts across the country who had studies in hand that argued Walmart would lead to small businesses boarding up. Not one council member voiced support for a New York City Walmart. The Walmart issue encapsulates a familiar debate at the City Council — one that last reared its head when the body rejected the development of the Kingsbridge Armory. As Walmart argues it will bring jobs to New York City, advocates and officials question the quality of those jobs, whether they will provide health insurance and whether they will pay a living wage. For some, the prospect of jobs is good enough. This should come as no surprise, but Walmart once again will pass on testifying at a City Council hearing on Thursday. In a letter dated today, Walmart‘s Philip H. Serghini attempts to strike down anti-Walmart sentiments wafting through the City Council, arguing the retail giant is committed to healthy foods, diversity and jobs. But Serghini says he could not commit to attending the hearing, because the council is only focused on Walmart and ignores the impact of other big-box stores in the city. You can see his explanation below. The joint hearing, however, does not appear to consider the impact of the hundreds of NYC stores operated by these companies; rather it focuses solely on Walmart. Since we have not announced a store for New York City, I respectfully suggest the committee first conduct a thoughtful examination of the existing impact of large grocers and retailers on small businesses in New York City before embarking on a hypothetical exercise. For these reasons and more, we respectfully decline participation in the February 3rd hearing. Should the committee decide to conduct the hearing in a more comprehensive manner, we would be happy to revisit our decision. In the interim, we do feel a responsibility to better inform the planned discussion and share some facts about the company that the committee can share with participants. Earlier this year, Walmart kicked off a major marketing campaign to persuade New Yorkers to support a store within the five boroughs. They are sending out mailers, taking out radio ads and have launched a NYC-centric Web site to corral support. So far, no one at the council is budgeting. The full explanation from Walmart is below. Are member items distributed equally at the City Council? Council Speaker Christine Quinn says so. Refuting a report in the New York Times this week, Quinn said all of the council’s discretionary dollars, which come in the form of individual member items, capital funding and more, are spread throughout the five boroughs sans favoritism. We started examining those lists back in 2007 (and have done it every year since). In other funding areas, take capital funding, we have seen a similar pattern: those in leadership get more cash. For our past coverage, go here and here and here and here and here. Mayor Michael Bloomberg is mulling over whether to sign a bill that would drastically increase fines for property owners with illegal sidewalk ATMs after small business owners expressed concern over the bill’s impact this afternoon. According to a spokesperson, the mayor will take the next couple of days to consider the bill and announce his decision after Christmas. Up until this morning, the mayor was expected to sign the measure, which the council approved earlier this month. At today’s bill signing, small business owners reportedly said the legislation would limit access to cash for neighborhoods without banks and hurt small businesses. Under the current version of the bill, fines could increase from $250 to $5,000. These ATMs are already illegal, but there is barely any enforcement or regulation of them, council officials said. If the mayor vetoes the measure, Council Speaker Christine Quinn said the council would move to override it. For some New Yorkers, their apartments are far from welcoming. Their one or two-bedroom abodes actually make them sick. Three years ago, the City Council approved legislation to target buildings with the worst housing code violations — those perennially without heat or hot water or collapsed floors and roofs. Together, the Department of Housing Preservation and Development and the City Council targeted 200 buildings a year and forced landlords to make the repairs. Now, Council Speaker Christine Quinn announced this morning, the council is set to consider legislation to expand the program to target larger buildings with hazardous conditions related specifically to asthma, such as vermin or mold. “We are recognizing peoples’ homes can actually make them sick,” said Quinn, surrounded by a crowd of officials and advocates on the steps of City Hall. Hazardous building conditions have long been connected to the city’s concentrated asthma pockets, which affect neighborhoods like Sunset Park, Corona or Bushwick. By using targeted enforcement of these violations, Quinn said the city could curtail asthma rates in these areas. The legislation, she said, promises to more than double the amount of units in the program. The council will have its first hearing on the proposal on Dec. 14.